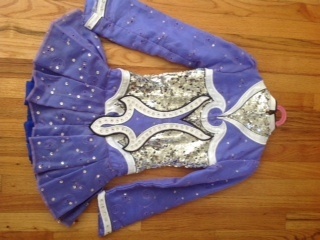 2013 Gavin Doherty lilac and silver excellent condition champion dress. 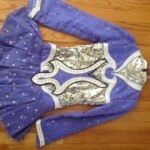 Worn only 10 times by a slender fast growing U11/U12 champion dancer. Extremely lightweight. Impressively unique color. Very sparkly & smart looking on stage. Headpiece & bloomers included. 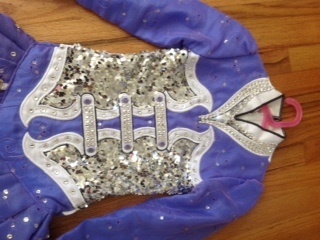 The dress will be showing in the dress room at 2014 Nationals in Montreal. 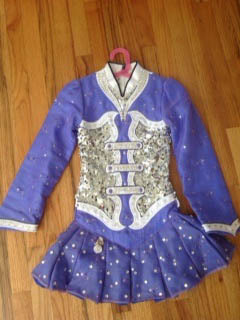 Asking Price: $975.00. Shipping costs are included for my own country, overseas shipping is extra. Returns are negotiable.